One of the most important steps in this process is identifying your family’s needs. Think about not only the practical needs but also needs specific to your family. Take some time to think about what your family's schedule is like; what do you do on a daily basis? Write a tentative schedule down. Think about all of the activities you do as a family, what your values are, what is unacceptable and what is acceptable. What are the responsibilities of the job? Does your nanny need to perform all duties-child? Or do they need to do some light housekeeping? Errands? 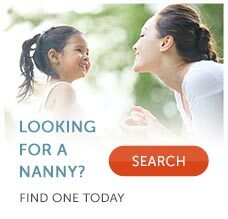 It’s important that you write all of this information down as this will become the roadmap in helping to train your new nanny. When hiring a nanny or newborn care specialist for your infant, you should hire someone who requires very little training and in fact will have so much experience and training that they will be able to educate you as well. As much as possible, “overlap” days with your nanny or newborn care specialist in the beginning. Walk her through the day and what you expect. Teach her about your household and how you do things in your family. Show her practical things, like where the dishes go, how you like your baby’s clothing put away, where the garbage goes, etc. Also, show her how you like the diaper to be changed, how you like to swaddle your baby, and how you expect her to put your baby down to sleep. Additionally, show her how you prefer your newborn be fed as well as how to prepare bottles. Your infant’s new nanny needs to learn all about your family and your way of doing things. Your nanny is not only coming from their own family of origin, they are also coming from the last “nanny family” they worked for, and until you reset those rules and expectations, your nanny will act off what the she knows. Develop a “House Book” where all of the important information is stored, including emergency contact information, addresses and phone numbers of relatives and close friends. You should also include a map of your neighborhood. It can also be helpful to introduce your nanny to the neighborhood and all of its resources in addition to learning about your home. In addition to a house book, you may want to have a “Nanny Log” where your nanny records feedings and diapering of your infant as well as any smiles or coos! Throughout the process of introducing your new nanny into your home, provide the opportunity to ask questions. Do your best to provide honest, informative answers. Try not to laugh at any questions that may seem silly or obvious to you. Remember, not every family is the same, and what may seem obvious to you can be something unthinkable to another family. Finally, make sure that your nanny is familiar with what to do in an emergency situation. Is she trained in infant CPR/First Aid? If not, get her trained immediately. Ensure that she knows where the pediatrician's office is and where the nearest hospital is. Make sure that your nanny carries a copy of your baby’s insurance card, as well as a signed release stating that your authorize for her to take your child to the doctor’s office or emergency room. Develop a healthy way of communicating with each other that works. For example, check in with each other at the beginning and end of the shift. Have her keep a nanny log, tracking activities and outings. When your nanny doesn’t do something the way you want it to be done, make sure you approach her in a calm manner. Do not raise your voice or be judgmental. Attempt to understand the situation and why she made the decisions she did. If something serious ever does happen, you want to make sure you have built a relationship where your nanny can come to you and not be afraid of your reaction.